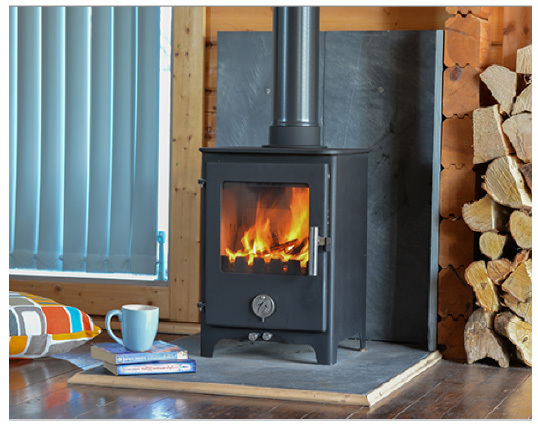 Chilli Penguin Stoves have developed a unique clean burn system for our stoves. Air is drawn in from the underside of the stove through stainless steel channels within the firebox. These channels direct jets of oxygen directly into the fire and down the back of the glass. This pre-heated secondary combustion air ignites the unburnt combustible gases which would otherwise be going into the atmosphere. The advantage of this is that fuel burns more efficiently and puts less harmful gases into the atmosphere. 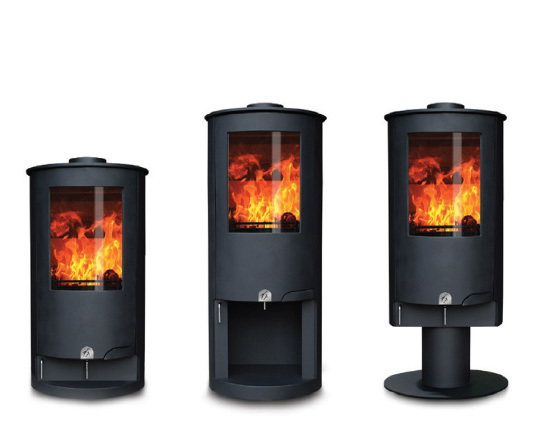 The other effect that is achieved is the blackening of the stove gla ss is minimized, giving a clear view of the fire. 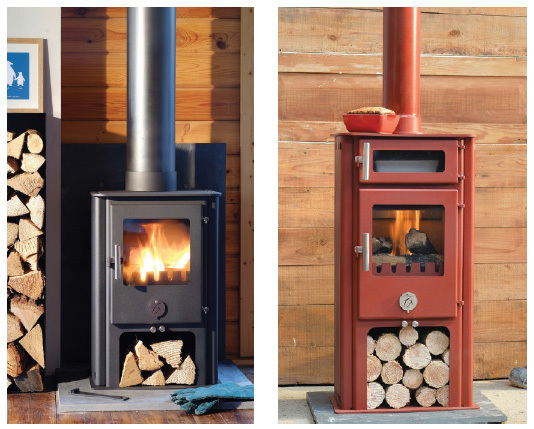 These stoves are all designed and manufactured in Wales. All the component sourcing is done with in the UK.